Christine Beckman is a visiting professor at the USC Price School of Public Policy. She is an Associate Editor at Administrative Science Quarterly and Past Division Chair of the Organization and Management Theory division of the Academy of Management. She previously served on the faculty at the Robert H. Smith School of Business, University of Maryland, and the Paul Merage School of Business, University of California, Irvine. 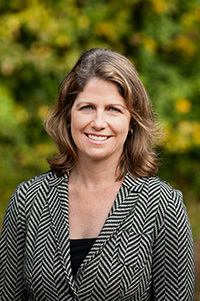 At Maryland, she was the Academic Director for the Center for Social Value Creation, Diversity Officer, and facilitated a peer network for junior faculty women. At UC Irvine, she was a Chancellor’s Fellow from 2008-2011 and Faculty Director of the Don Beall Center for Entrepreneurship and Innovation. She was the 2006 Western Academy of Management Ascendent Scholar.